At CVMC, our Radiology department performs exams to "image" internal body parts and systems. These images help providers diagnose injuries, diseases and other illnesses. Appointments can be scheduled Monday to Friday. Early morning and evening appointments available. The department is staffed 7 days a week, 24 hours a day to allow for emergency testing. 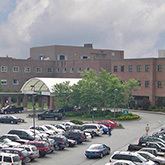 CVMC employs American College of Radiology board-certified Radiologists. These are doctors specifically trained to read and interpret the exams performed. Many of our staff are trained and certified in multiple modalities (such as CT, MRI, Mammography, and Ultrasound), allowing us to offer services 24 hours a day, 7 days a week.